First, it should be made clear, that there are schools and organizations that are rising to the challenge of educating our children in the 21st century. Schools like Rocketship in Northern California and High Tech High in Southern California are wonderful models of 21st century learning. 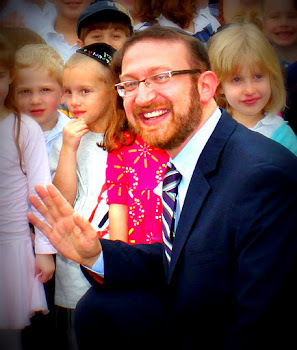 Among Jewish day schools, there are examples like Margolin Hebrew Academy in Memphis, TN, which is undergoing a 21st century change project and a number of LA-area day schools and yeshivot that have illustrated a strong commitment to educational technology integration through school-wide one-to-one laptop and iPad programs. These Jewish day schools, and a handful of others, are models for adopting change. With such exposure comes great responsibility. We are indeed doing exciting things here and we have, indeed, created a faculty culture that is largely open and embracing of change. With eyes upon us from all part of the country, however, we must redouble our dedication to this project and our commitment to ensuring that we are equipping our students, in all subject and throughout all of our grades, with the tools for religious, professional, emotional, and academic success in their world of the future, rather than in our world of the past.